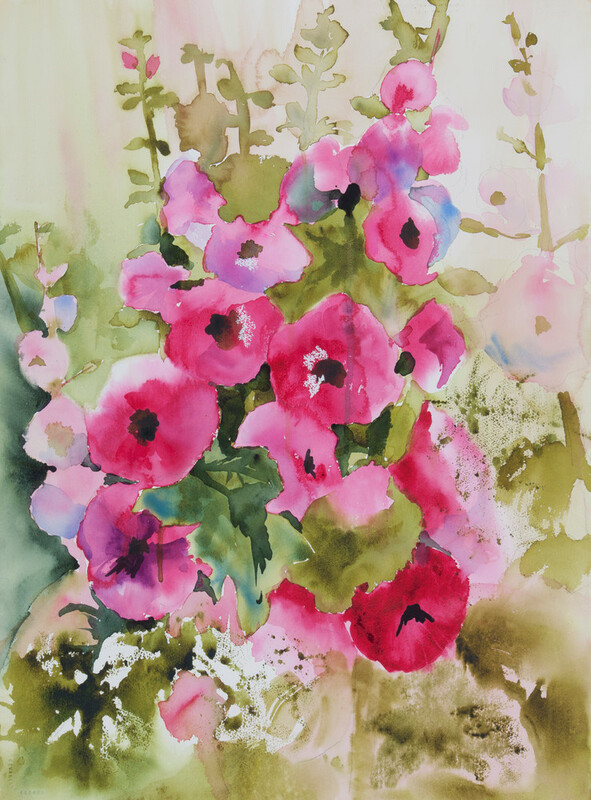 I tried for years to get Hollyhocks to grow in my garden! When they finally bloomed, I couldn’t paint them quickly enough. They remind me of fairytales from long ago and my childhood summers. Les roses-trémieres sont les plus difficiles a partir dans le jardin, mas quand elles fleurissent, elles nous donnent ce magnifique spectacle!